Monday evening I fished a little as the cold front moved in. Sometimes prefrontal conditions make them hungry. 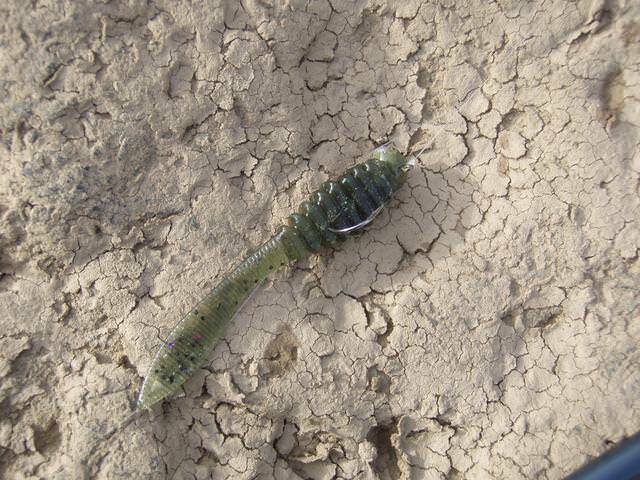 My first cast with the predator craw appealed to another "esox." This one was a young muskie about 20 inches. 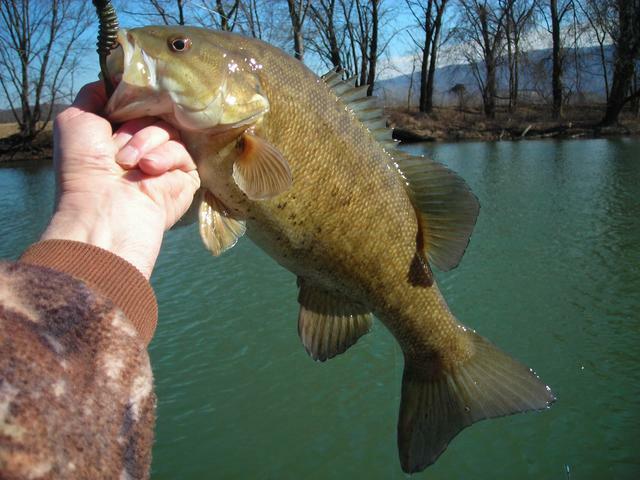 About dark I found a school of smallies but I was cold and I don't like the dark. So I marked the spot for later. Tuesday was a cold and wet day so we did some shopping, ate out for lunch and made a trip to Planet Fitness. But I only wound up with 1/2" of rain in my rain gauge...which did nothing for river levels. This morning I got up early to try the spot I marked and beat the sun and cold wind that was following the front. The first 2 hours the clouds were thick, no sun and the water was like glass. This beautiful 4 pounder was the first cast with the predator craw in the area I had marked. 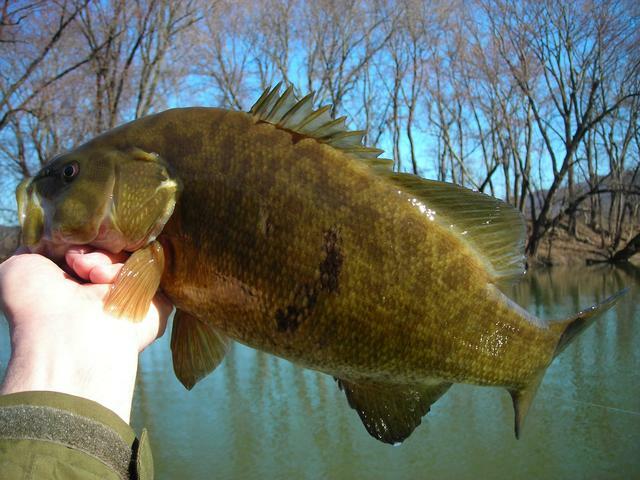 For the next 90 minutes I landed ten more smallmouth ranging from 1-2.5 pounds. As soon as the clouds disappeared...the sun, blue sky and wind (Mariah) started in...didn't get a hit after that. Think I might try this evening again if Mariah cooperates. If we don't get some rain, and we might be in store for only the white stuff, we might be faced with a shallow frozen river. Wind wasn't too bad around 3 PM... water surface was calm...so I fished until 5 PM. Air temp around 40F...water about the same. 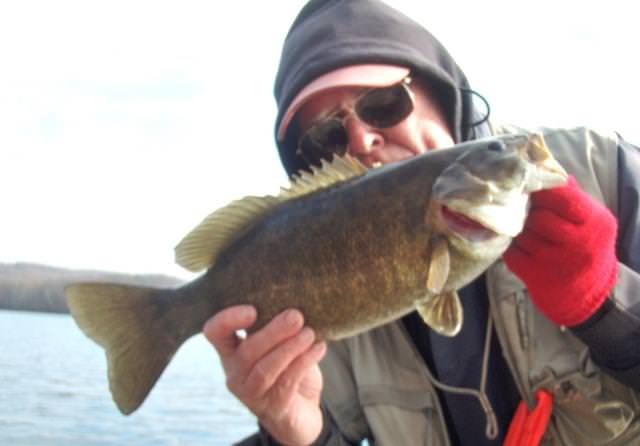 Picked up another 4 smallmouth on the crayfish with this 3.5 pounder being the nicest ...except for the "black face." You must have a magic lure, to be able to catch fish like that. especially if the suns not hitting the water. Congrats dry, your making this fedex driver jealous! I will be living vicariously the next few weeks, via yours and anyone elses posts. Sorry RA, I couldn't help myself with the comments about the sun. Same senario this AM except the air temp was slightly lower 36F. Started at 0830 and when the sun and wind came out around 1040...they quit and I quit. Didn't seem interested in the little lobster (Baby Predator Crayfish) so I put on the Winco Undulator. 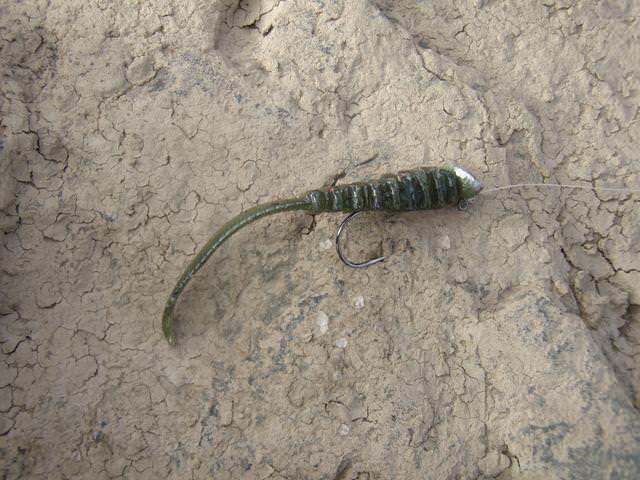 The thin undulating tail of this bait requires little movement...just let it sit and the current does the work. Picked up six smallmouth with one 3.5 pounder. Some of you may like to see the disease plaguing smallmouth in this section of the river. Here's a nice example showing both sides. And...the other problem is water levels. Here's a pic showing where the level currently is. The water should be up around those tree roots this time of year. Dry that is interesting. So the black is disease and not genetic markings? Is this around Harrisburg, I've yet to see one with the spots. No problem dretallak, I have pretty thick skin from being in the military so I don't get offended. I can take it as well as I can dish it out. I guess it's more the fisherman than the weather conditions. I do favor a windy day over a calm day and don't have a problem catching fish on bright bluebird sky days even in crystal clear water. The thing to remember about sunny days is don't make the fish look into the sun to take your lure. Here are just a few winter time sunny bluebird sky day fish. 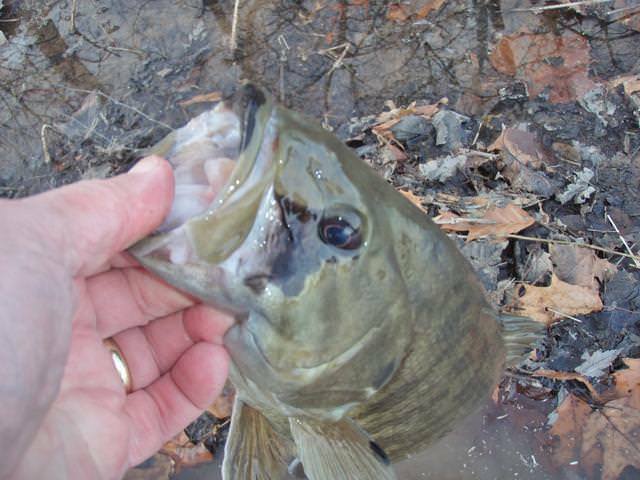 It's not hard to catch winter fish if you know where they are holing up for the winter. You can go back to the same place and catch the same fish over and over again. Hi there and welcome Brewguy!! Who said they were genetic markings? 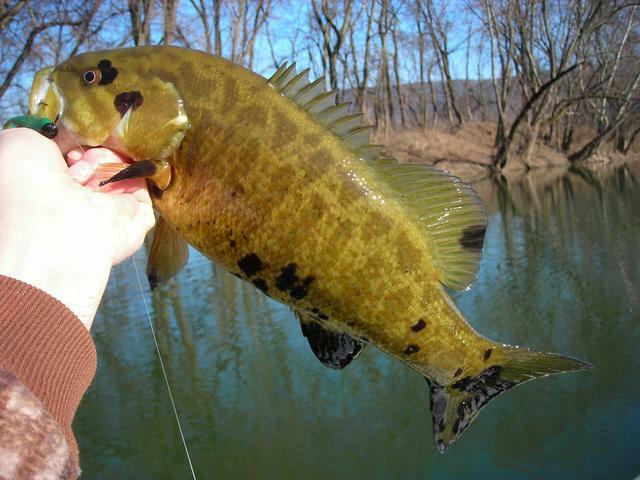 I've fished smallmouth bass in PA and Canada since I was 12 (that's 60 years) and never saw these marks until 2010. These black spots are abnormal collections of the pigment melanin...like a mole in humans. Some moles in humans are cancer (melanoma). One research guy in England has shown that a small percentage of these black spots in other species of fish are cancer (melanoma). 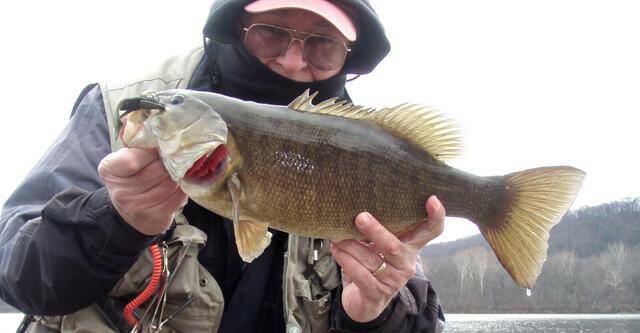 The chemicals that cause the numerous diseases in smallmouth bass in the Susquehanna are in the water. Do not feed these fish to young women of child bearing age and young children. You may want to avoid eating them yourself. 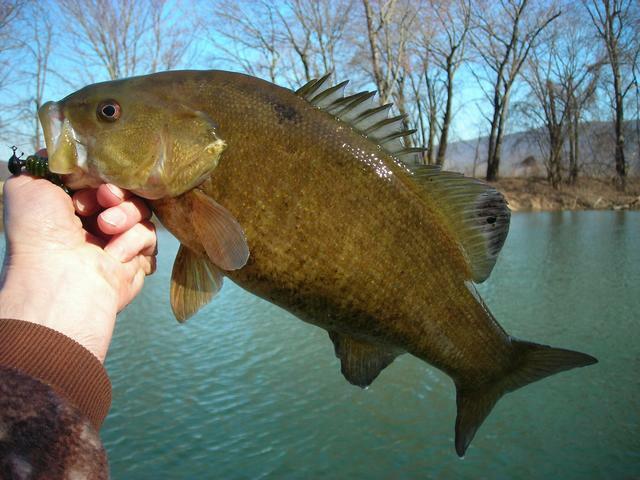 Our PFBC has failed to do the necessary testing and research to determine if any of these smallmouth have cancer. No one told me directly what the spots were from, I seem to remember watching a video and the person said something like that. It wasn't small mouth nor in the susky. It is a shame that the organizations that we expect to take care of the waters, don't do a very good job at it. The spots look unique, its too bad they may be bad for the fish. ... its too bad they may be bad for the fish. It is also an ominous sign for over 5 million people who use the Susquehanna River for drinking water. Most likely bad for people too. What you are seeing examples of from dry, and 1 photo from RA with the spots. 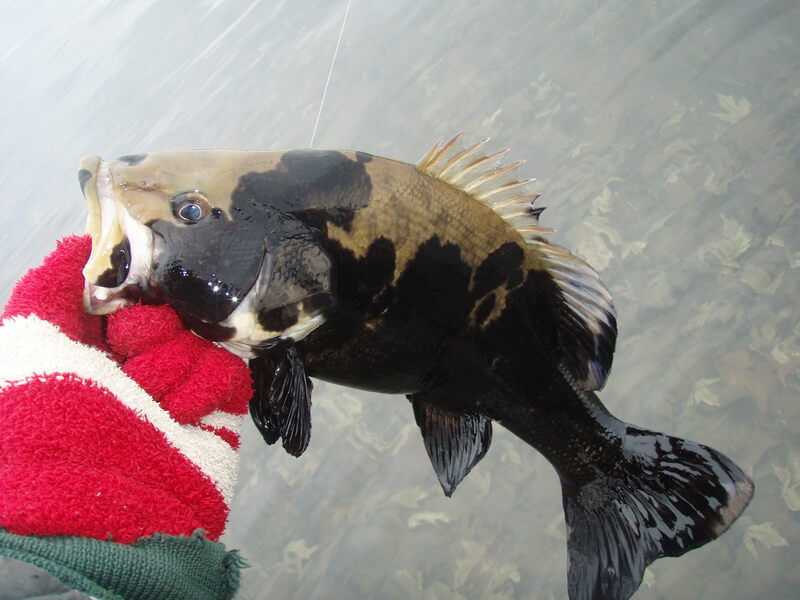 The fish around Harrisburg having those black markings, are far less. I have caught some, but not to the extent that Dry has. Most of his pics, a lot at least do. 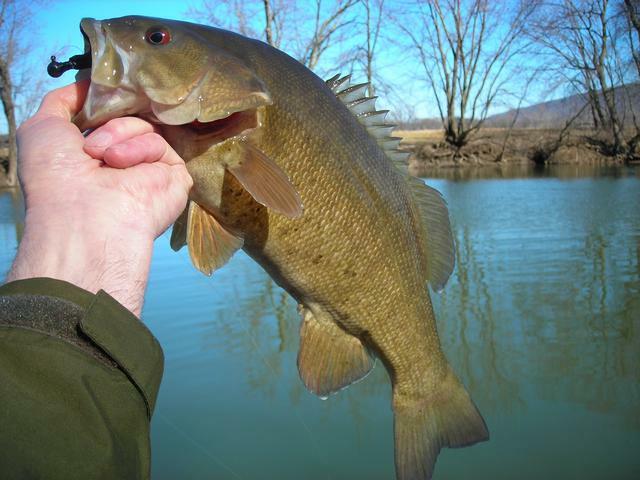 Fortunately, we around Harrisburg are not allowed to keep smallmouth for consumption. But that is not to say those same pollutants are not in the catfish or walleye, we are able to keep. Welcome also brewguy. 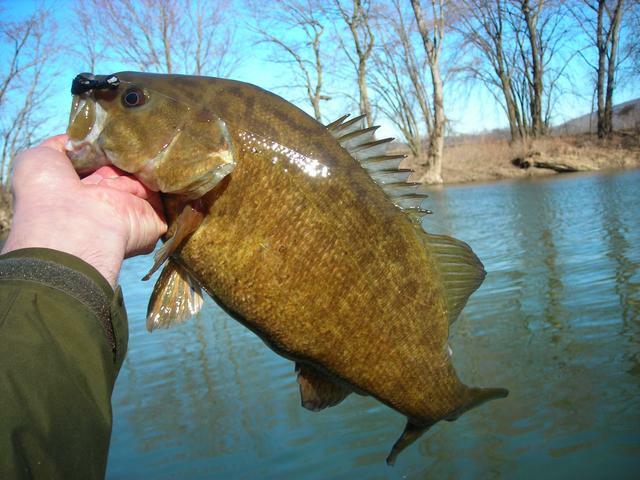 Correct...No one is supposed to keep smallmouth for consumption downstream of the Fabridam. But...if as I suspect...both the black spots and the male sexual changes in bass are due to chemical toxins in the water...all species of fish absorb the chemicals and are contaminated. In addition, many people from Northumberland to Harrisburg to Columbia also drink the water. Think about it. Nice fish Dry and RA. Even if I knew where such a honey hole was my arthritic hands couldn't hold a rod and crank a reel in the cold especially if they were wet. Sometimes it's hard to carry a shot gun for pheasant hunting. I caught a couple with black spots in the Harrisburg area this summer. Didn't see any to the south but I didn't catch many fish to the south. 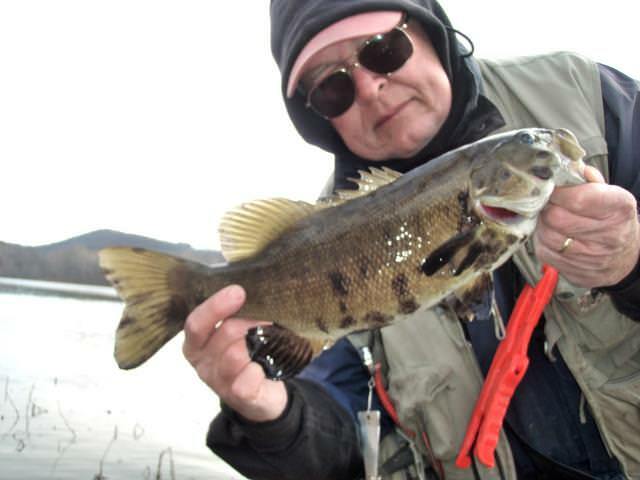 I never saw any up at Bloomsburg but I never fished anywhere between Bloomsburg and the ledge at Rockville. 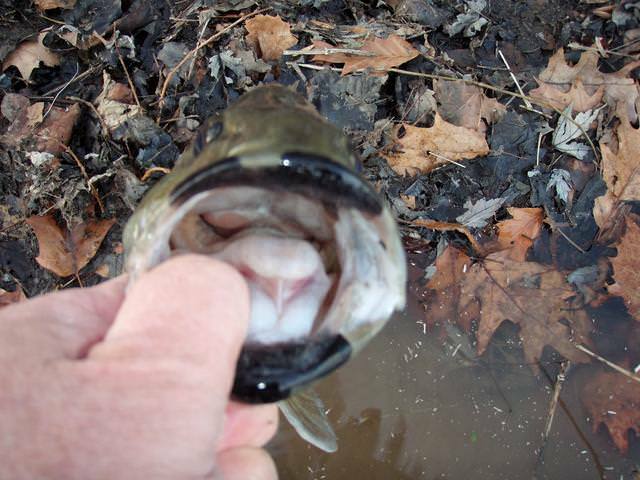 ...I caught a couple with black spots in the Harrisburg area this summer. Didn't see any to the south but I didn't catch many fish to the south. 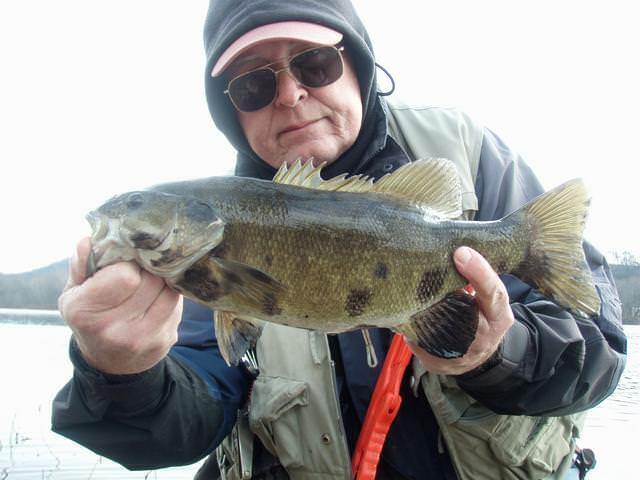 I never saw any up at Bloomsburg but I never fished anywhere between Bloomsburg and the ledge at Rockville. I have caught diseased fish in the West Branch around Lewisburg. I don't fish the upper West Branch and have seen no reports from there. 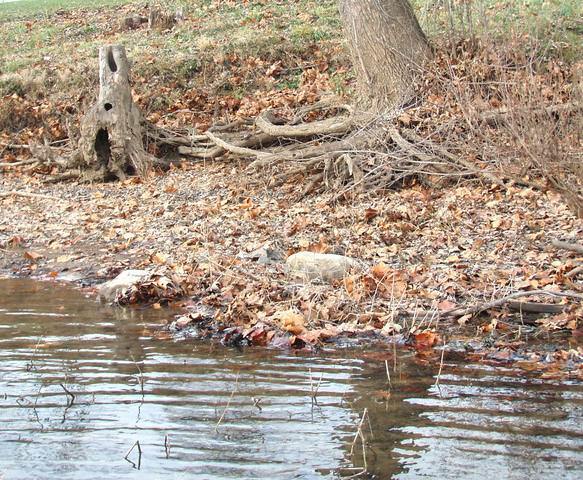 I have seen pictures of diseased fish from the Bloomsburg/Danville area on the North Branch. Never seen any from farther north on that branch. 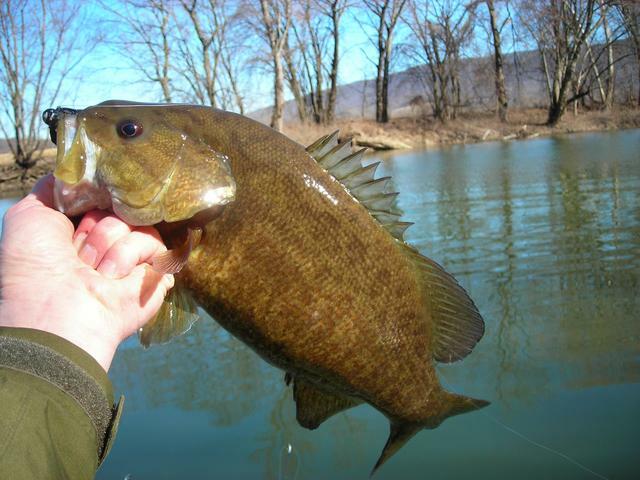 The worst area for diseased smallmouth is from Northumberland to just below Selinsgrove with fewer of them caught in the Harrisburg area and below. Why? I believe there are several reasons. 1. More agriculture in the areas where the disease is worse. 2. The year the black spots started was 2010. From 2003-2010 the PADEP allowed Regional Sewer Treatment facilities and Power Plants to recycle frack water and discharge it into the Susquehanna. The density of those facilities doing this is highest in affected areas. The released chemicals in that frack water last for decades. 3. There is a highly contaminated dump in Northumberland where the PADEP allowed decompression of that dump through a underground drain leading to the west branch of the Susquehanna. Everyone has ignored this violation of the Clean Water Act. That drain was completed in 2000. 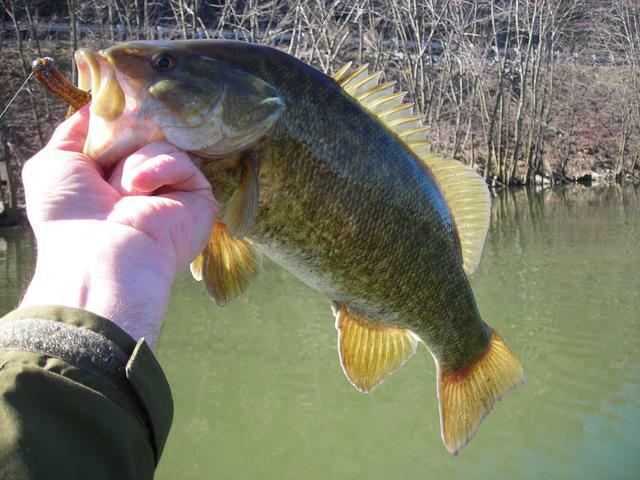 It was in 2003 that the intersexing problems in male bass as well as the numerous infections in smallmouth began to be reported. 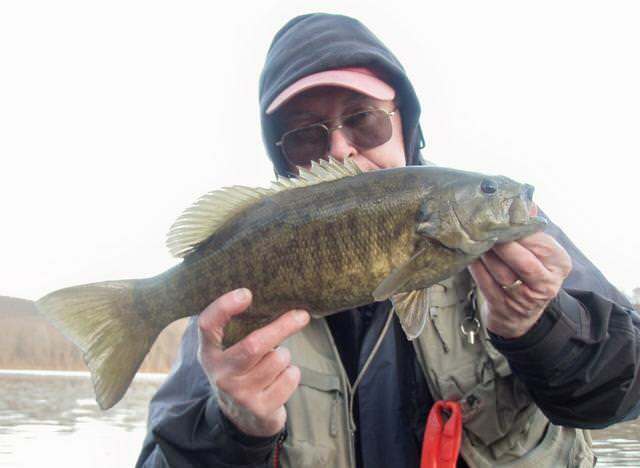 I believe this is why the upper main stem of the Susquehanna has the worst smallmouth disease problems of any section of the river.